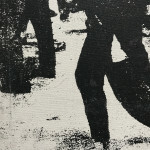 Silkscreen ink on canvas. 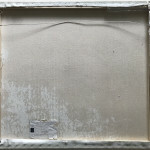 Vague signature verso. Authenticated and stamped by the first foundation / Fred Hughes. 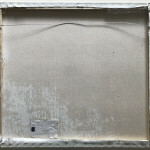 Later brought for auction and in that process denied by the second foundation (AWAAB). 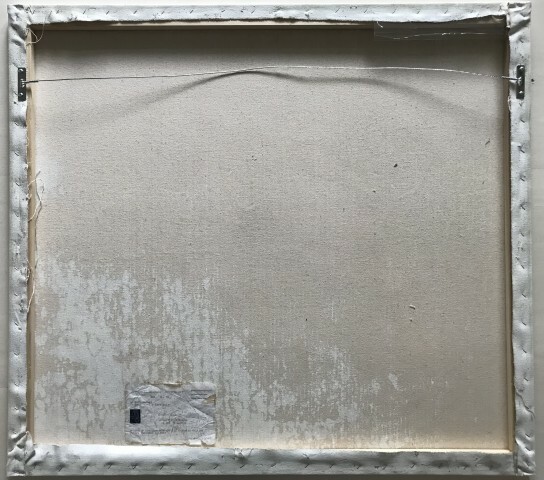 Later re-submitted with further proof but double denied. 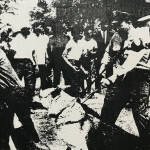 Ongoing investigation. 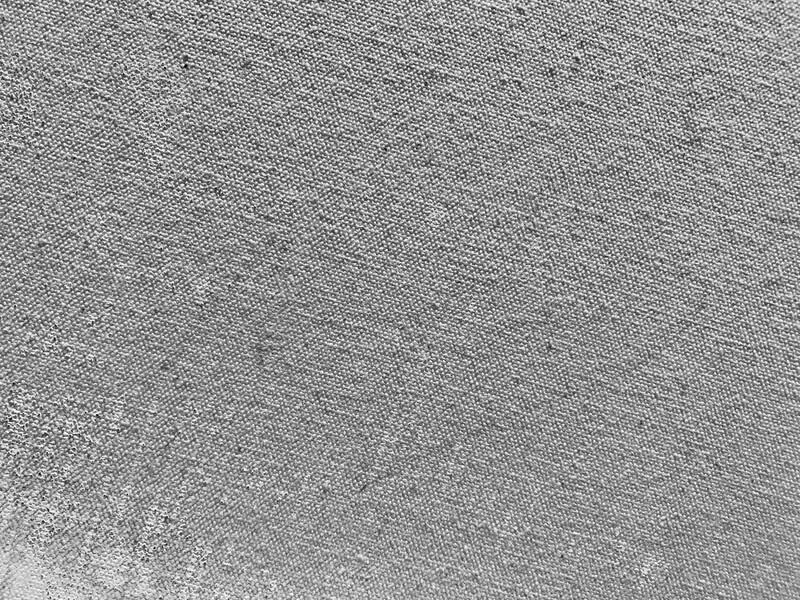 Letter of provenance written on december 29th, 2005. 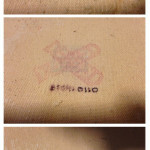 Info according to former owner. (being tested these days). 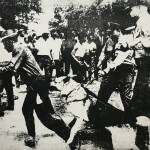 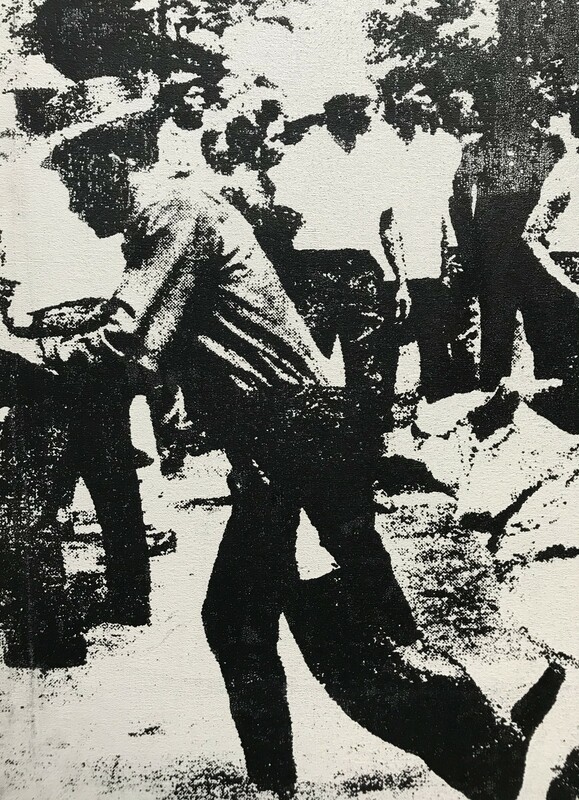 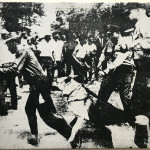 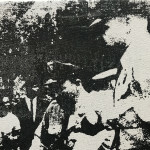 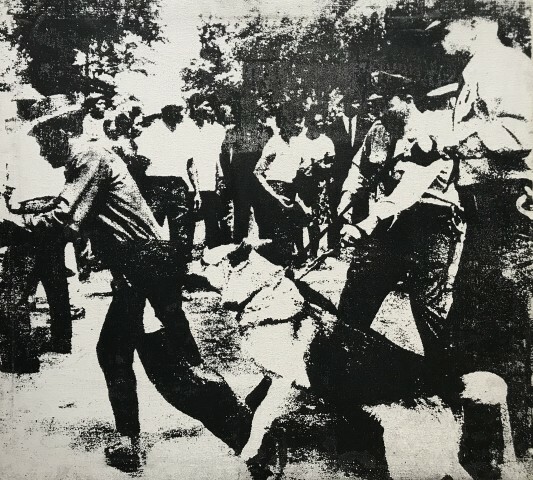 1966: Warhol consigned "Little Race Riot" to the Leo Castelli Gallery. 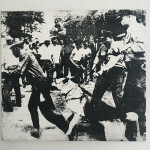 November 2, 1968 - January 12, 1969: Violence in recent American Art Exhibition at the Chicago Museum of Contemporary Art. 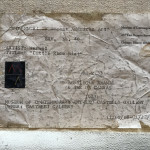 Contract signed by Kay Beremen from the Castelli Gallery. The Loan Agreement listed the work's title as, "Alabama Police Dogs." 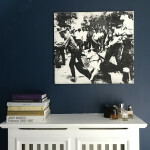 This title was struck through and replaced with "Race Riot." 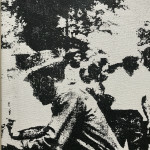 (The two panels shown in 1968/1969 were the white and the blue panel that were later assembled with two red panels. 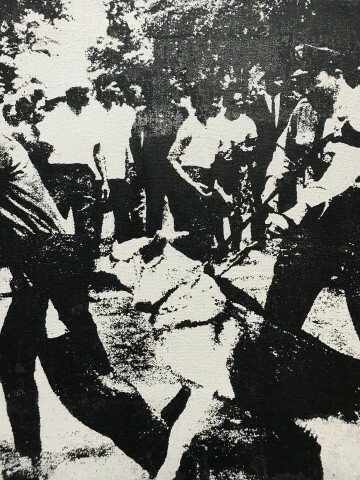 Now work ref. 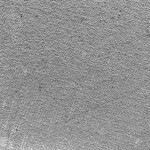 1420 in the raisonne 02 A. 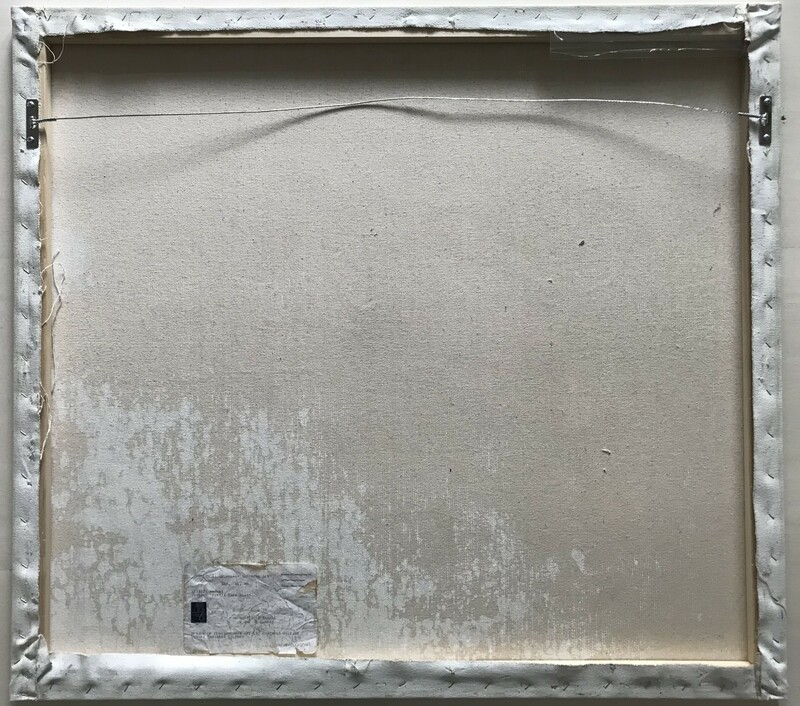 How ever the single panel was very identical to the one shown in the catalog for the show). 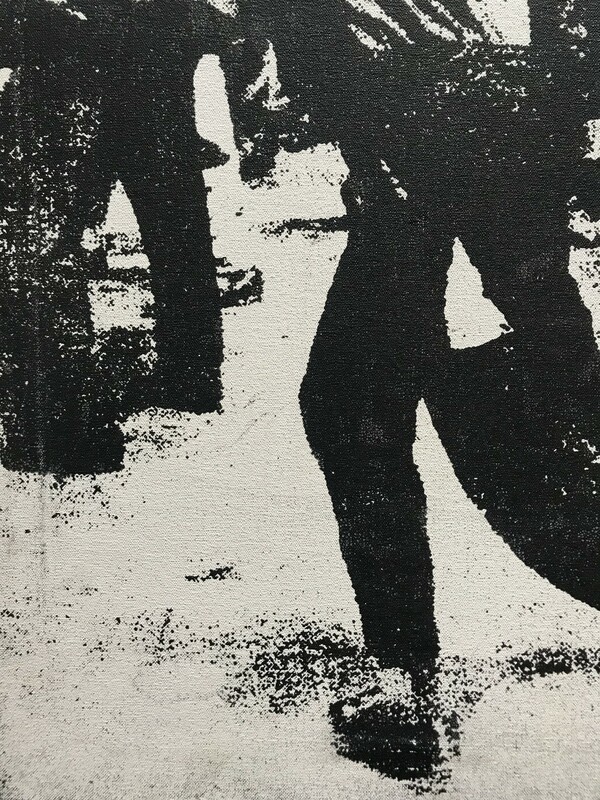 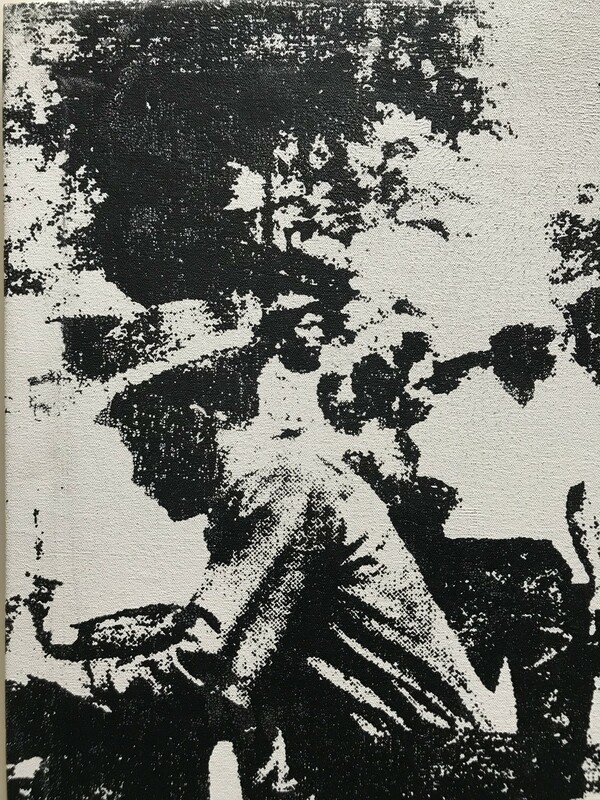 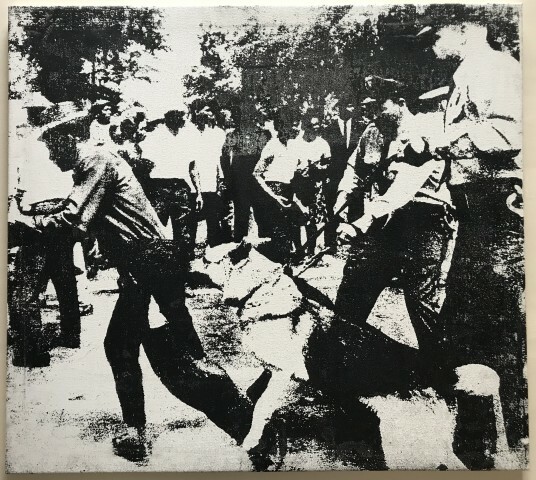 February 1969: Returned, "Race Riot" via insured mail to owners: Leo Castelli Gallery. 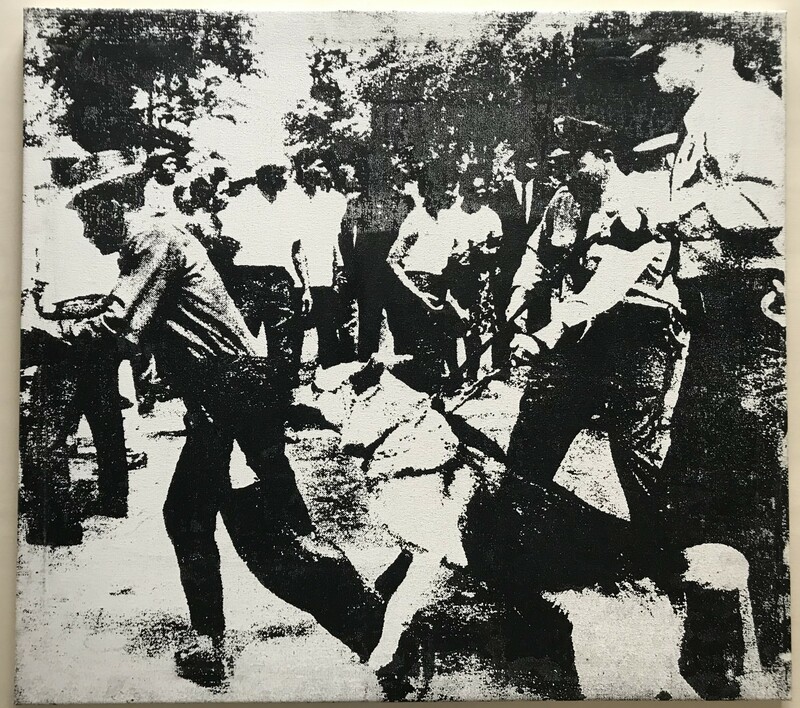 1992: "Little Race Riot" was given to attorney Harry Weiss. 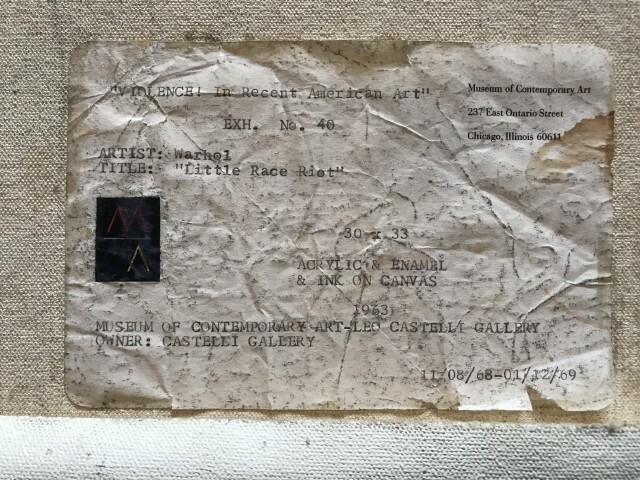 October 2, 1998 - August 27th, 1999: Submitted "Little Race Riot" through Butterfield's to the Warhol Authentication Board. 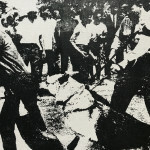 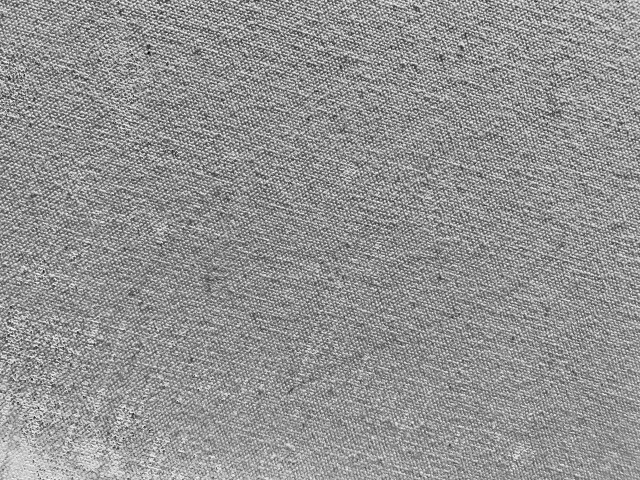 This coincided with the time of Leo Castelli's death (August 24, 1999) and all of the gallery's records were frozen. October 25, 2001: "Little Race Riot" is submitted a second time through Adam Gross from Butterfield's with additional information for the board. 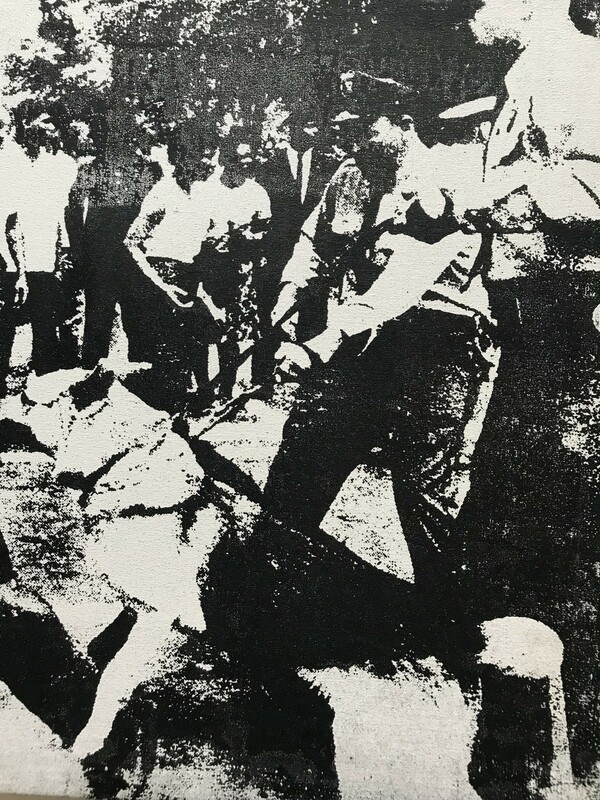 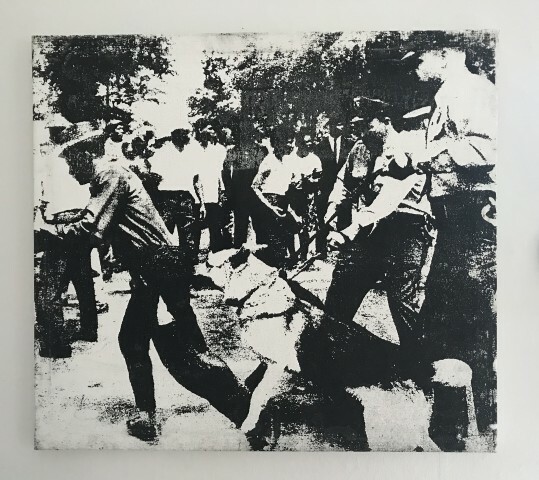 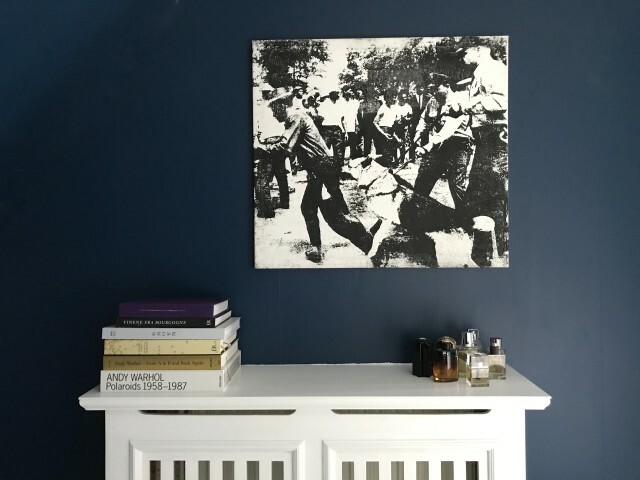 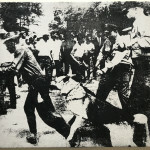 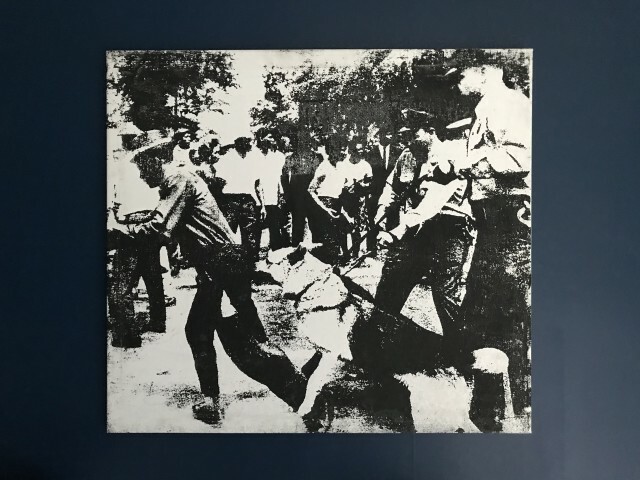 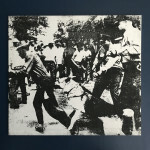 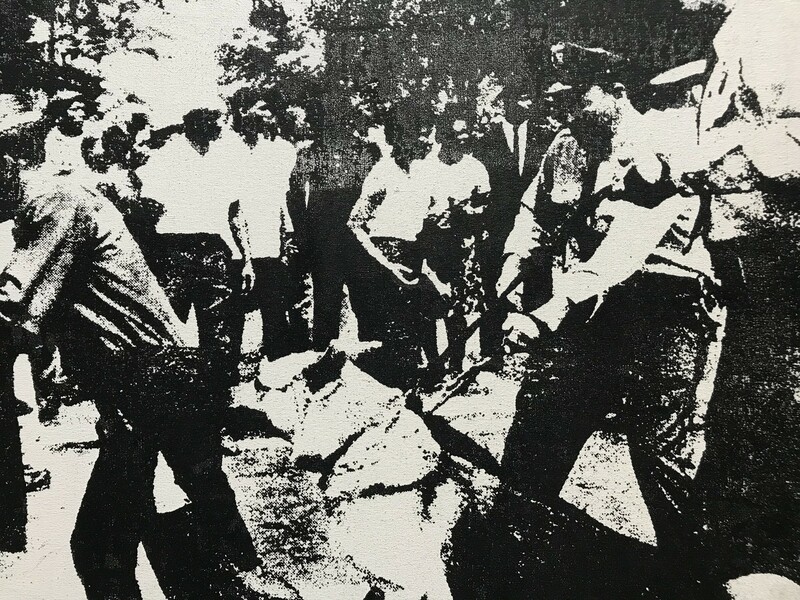 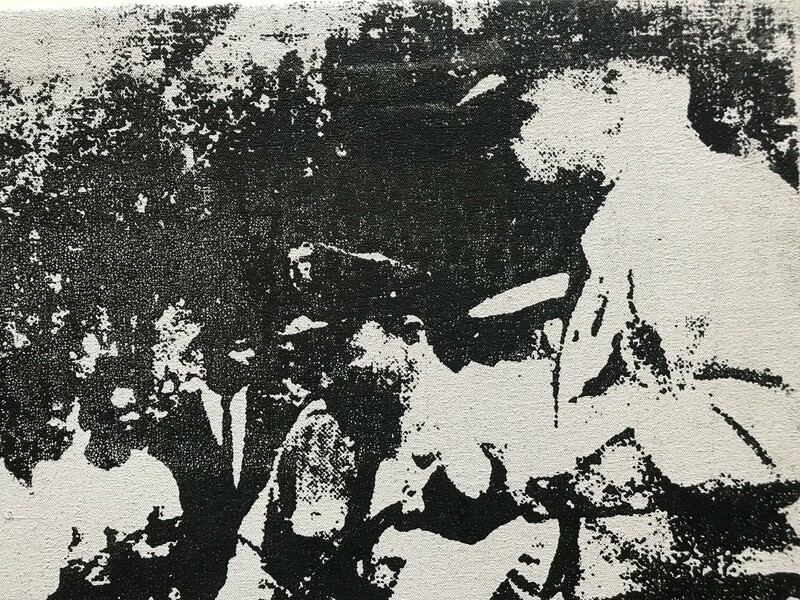 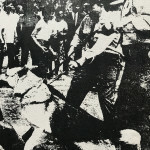 Confusion may have resulted from the work's title being changed from "Alabama Police Dogs" to "Race Riot" and "Little Race Riot" and a 20 year gap in provenance. March 25, 2003: Warho's assistant (Louis Waldon) from the Factory helped Andy create these images in 1963-1964. 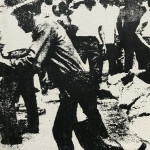 Louie confirmed that the "Little Race Riot" is definitely the work of Andy Warhol and not himself. 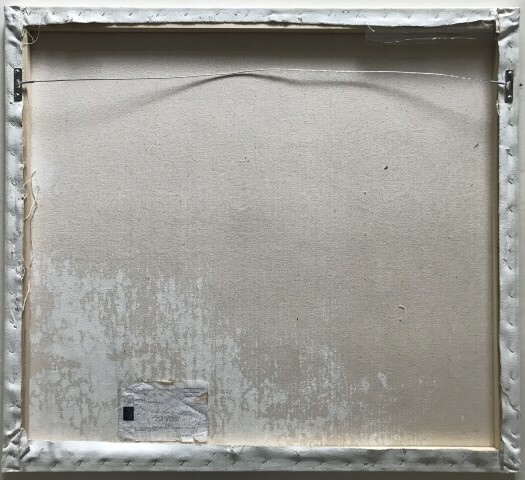 Santa Monica Auctions, MAy 31, 2015. Collection/research: Peter Victor Kallstrom, Los Angeles.